Thinking of buying or adopting a Chihuahua? The Chihuahua is the smallest dog breed on the planet, with a small pear-shaped head and a short pointed muzzle with a black or self-coloured nose. The standard height for a Chihuahua is between 15 to 23 cm while the average Chihuahua weighs only 1 to 3 kg. It is a little longer than it is tall. The Chihuahua has large eyes which are round and dark; sometimes they can be luminous in colour. The large ears are erect. The moderately long tail is carried like a sickle curled over the back or to the side. Two varieties of Chihuahuas exist: the more common short-haired variety and the long-haired type. 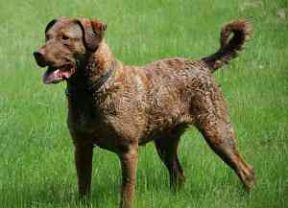 Each is considered a distinct breed by the UK Kennel Club. The coat of the long-haired Chihuahua is either flat or slightly wavy with feathering on ears, feet and back legs and forms a ruff around the neck. Coat colours can range from fawn, sand, chestnut, silver and steel blue but any colour is acceptable. It is sensitive to cold climate because of its size, but the long coat variety will do fine in cold weather even without additional protection. It is an excellent dog for an apartment dwelling, but any abode is suitable because it is quite an adaptable breed. The Chihuahua was named after the Chihuahua state in Mexico and has a controversial history. It was originally believed to have descended from an ancient Aztec dog known as the Techichi, a native dog in Central and South America, which is a little larger than the Chihuahua. The Techichi was a revered dog and was believed that every family was known to have such a dog which was sacrificed and buried alongside a deceased family member to guide the soul to the afterlife. However, the lack of concrete archaeological evidences pointed to another theory that this breed was instead brought by Spanish merchants to Mexico via China during the galleon trade era, when dwarfing plants and animals was particularly popular in most parts of China. There is also a theory that the Chihuahua probably originated in Egypt as early as 3,000 years ago and that it was brought to Spain and then to Mexico by galleon traders. Although the age of its true origin is unknown, it was not until the 1850s when these were found in Chihuahua, Mexico and made popular by Xavier Cugat (the famous Spanish-Cuban band leader) to the American public. The Chihuahua was introduced to England in 1897 and was formally shown at the Ladies Kennel Club Show. By the start of World War II, less than 100 Chihuahuas were registered and was reduced to only eight by 1949. Today, the popularity of the Chihuahua is overwhelming, an average of 20,000 dogs are registered each year. Chihuahuas are one of the smallest dog breeds on the planet; they’re small, dainty and can very feisty! Their heads are rounded and their muzzle is short and pointed. Their jaws are well defined and all of this adds to their very cute appearance. Their eyes are round and large and perfectly set apart. They have rather large, pointed ears and they can flare out at a 45 degree angle. 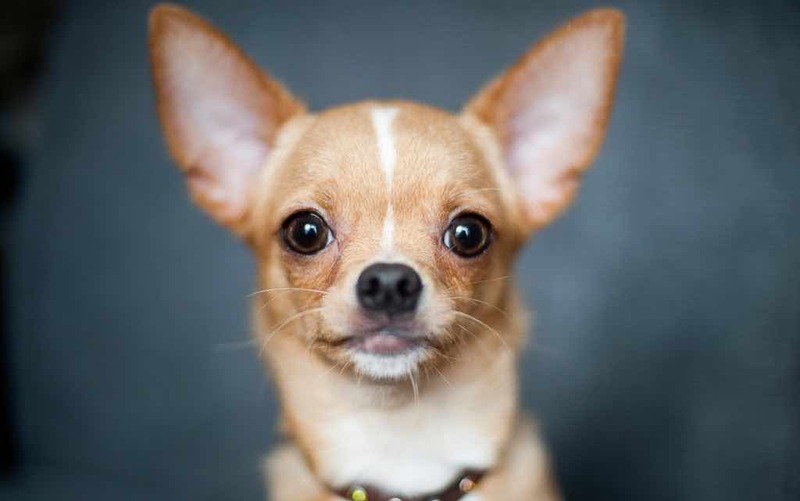 The Chihuahua has a very strong jaw line and their bite is perfectly formed. Their upper teeth overlap their lower teeth which gives them a scissor bite. Their front legs are straight and fit perfectly under their chest which allows them adequate movement. The Chihuahuas back is level and their rib cage is well sprung. Their hindquarters are compact, strong and muscular. Their feet are very small and delicate and their toes are cute and dainty and fit well within their paw pads. Their tail is medium in length and often erect. The Chihuahuas head can either be Apple shaped or Deer shaped. The Apple shaped head is rather exaggerated and round making their head distinguished. Chihuahuas with Deer shaped heads are known to have less health issues than those with Apple heads. Another, important factor to understand is when Chis are born they have a hole at the top of their skulls which is known as the moleras and extra special care must be taken when handling them, Chis with Deer shaped heads do not have this problem. It is important that their weight is carefully maintained to ensure they live a healthy and happy life. This tiny dog breed is prone to weight gain and therefore they should be fed a healthy diet, rich in proteins, veg and all other healthy nutrients. Feeding your Chi the wrong food groups will promote an unhealthy weight gain and can lead to health related issues. Chihuahuas love their food and are known for being greedy; therefore feeding them the correct amount of food and providing them with enough exercise is very important. The Chihuahuas coat can either be smooth or long, with a very soft touch. 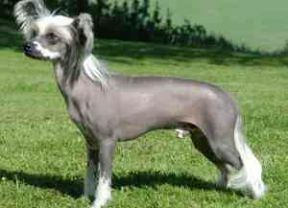 Their coat has a delightful natural sheen which makes this dog breed so elegant and beautiful. The Chihuahua is an excellent companion dog. Known for its devotion and intelligent personality, its size makes it a suitable pet in any living environment, be it a country dwelling or a city apartment. Its exceptional intelligence makes it responsive to training. It is a loyal breed, often being devoted only to one person, but proper socialisation can alleviate this problem. It is also quite sensitive to cold weather because of its small size. If trained correctly from a young age, the Chihuahua will grow up to be a confident and well-balanced dog. If not trained correctly from a young age, this dog breed is prone to becoming snappy to other animals and humans should they not desire your company. This can cause a problem should you have guests and your beloved Chihuahua is not in the mood for company. Often, the Chihuahua is just thought of as a lap dog, but this is not the case. This dog breed is not only very intelligent; they’re quick, alert and can be very feisty. They’re often described as a big dog in a small dog’s body. This dog breed can be quite wary and very cautious until they get to know that animal or person better. The Chihuahua needs to be trained correctly from a young age to prevent them from becoming dominant and stubborn. As they’re highly intelligent, this dog breed can learn very quickly and pick up bad habits just as easy. 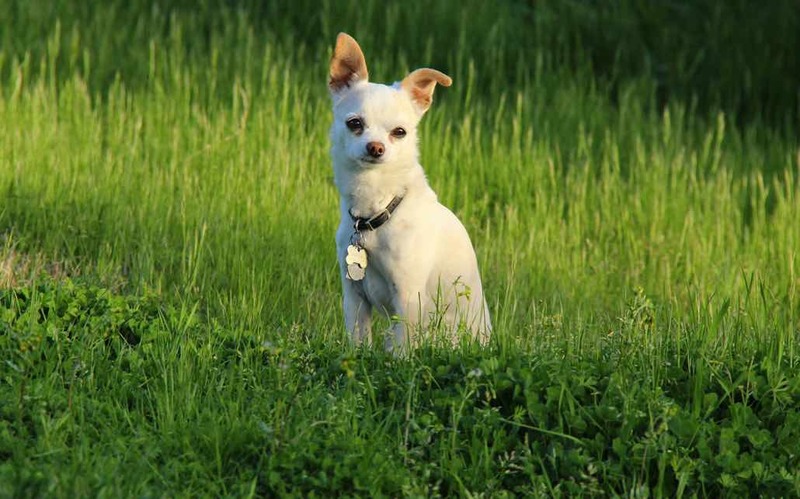 Over the years, the breeding practise has improved for this breed, so, the Chihuahuas we see today are more well-balanced and display a better temperament than they did many years ago. The breed standard for a Chis temperament today should be “gay, spirited and intelligent”. The Chihuahua is incredibly sensitive and if anyone holding their lead feels stressed or anxious, this will travel through the lead and back down to the Chi, making them react accordingly. They don’t like loud noises, which can make them very nervous. They’re very inquisitive by nature and love to explore and so, can often be found in the most unusual places within your home. Chihuahuas love the company of others, whether it is a person or another dog. If left on their own for too long they are prone to developing separation anxiety and may become destructive. Generally, the Chihuahua is a chilled dog breed that’s happy to sit on your lap and receive lost for cuddles and equally as happy to go for a nice stroll in the park. Chihuahuas are not recommended for first time owners as they take certain level of care because of their size. Do not be mistaken the Chi is a strong dog and very adaptable but they’re incredibly small and on some occasions; stubborn. Experience in handling dogs is worthy before considering owning a Chihuahua. Chihuahuas are known to be very wary of people they don’t know and new things. They can act standoffish until they feel at ease with new company. However, this dog breed is highly intelligent and will easily adapt to new surroundings. This dog breed is just as happy chilling in an apartment as they are living in a house with a garden. Provided they’re given enough exercise and mental stimulation, the Chihuahua will thrive and grow to be a happy, healthy dog. As this dog breed is very small they do feel the cold more than other dog breeds. During the colder months you should provide your little Chi with a protective coat so they keep warm. Chihuahuas are wonderful dogs with amazing personalities. Often, this dog breed is misunderstood as a “handbag” dog because of its popularity amongst celebrities. 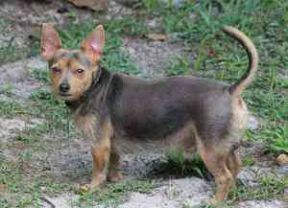 This tiny little dog has a personality of a large dog breed and will happily show you providing their given the correct training. The chi has a certain demour about them and they tread very carefully around unfamiliarity until they feel comfortable. Chihuahuas can be very affectionate. They love nothing more than to sit on your lap and snuggle in. However, your Chi can become rather needy and territorial if they're not trained correctly. From an early age, your Chi must be taught to be invited to your lap, rather than them begging you for your attention. If they snap or snarl at someone coming near you, or, another dog wanting your attention; this must be addressed straight away and they are then taught that this behaviour is naughty. This dog breed loves to play and providing they socialised from a young age, they will grow into becoming a strong, confident dog. They have a rather playful nature and spontaneous approach to life and play time. You could be happily relaxing and your Chi will jump up and start playing and insisting you join in. You must be patient with your Chi as they take longer than other dog breeds to feel comfortable and confident. To help keep your little Chi entertained they love nothing more than playing with interactive games. It is important that they’re mentally stimulated to prevent them from becoming bored. There are some Chis that bark more than others, although they can be taught not to bark as long as this is done from a young age. To train your chihuahua not to be bark, you must address this from the puppy stages. 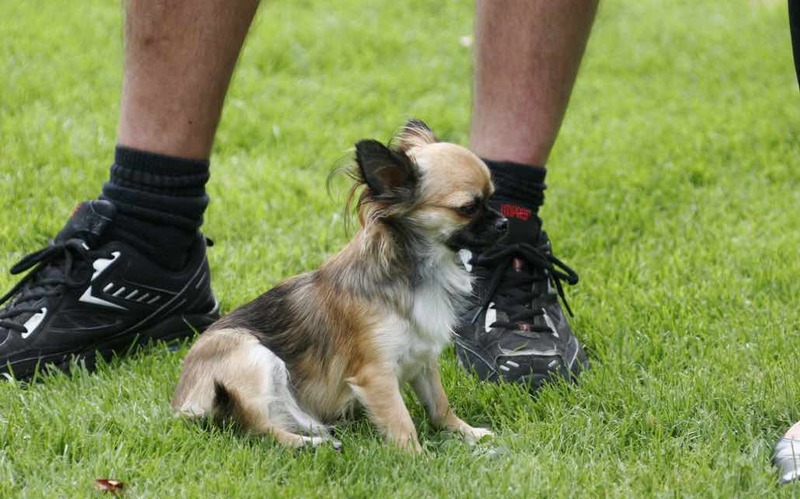 Chihuahuas can become territorial if not trained correctly from a young age. This type of behaviour should be addressed quickly as it can become a problem as they grow into an adult dog. Training should be gentle and positive to properly reinforce the Chihuahua's intelligence and general attitude. Proper socialisation at an early age with all members of the family is important so as to form a bond with everyone, instead of having a deep attachment only with an individual. 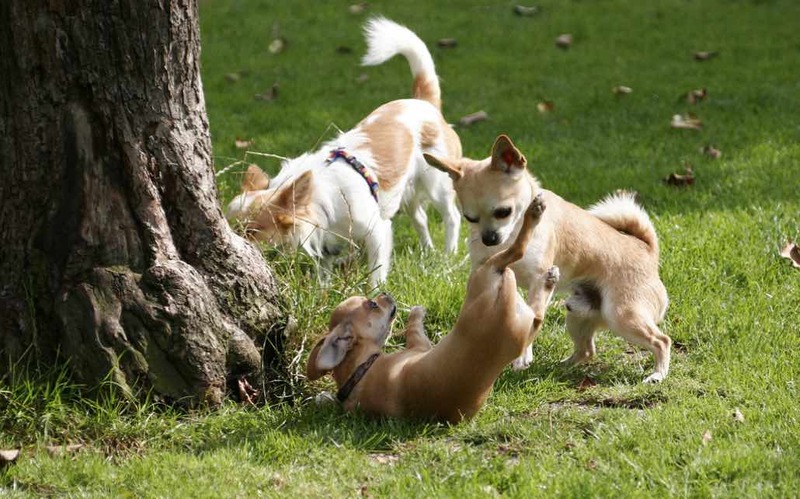 The Chihuahua is a clever little dog, but they need to be trained from an early age to ensure they’re properly socialised and grow up to be well-balanced dogs. It’s all too easy to spoil a Chihuahua because of their cuteness, but you must train them adequately and consistently to ensure they’re happy little doggies that understand the rules around the household and to also ensure their own safety when outside of their home. Chihuahuas are independent thinkers and therefore will learn and do things at their own pace, which includes responding to commands. The key to training a Chi is to take your time and be very patient. Short training sessions work out much better as your Chi will most likely become bored and uninterested if their training is taking too long. The long coat Chihuahua should be groomed daily and brushed with a soft bristle brush. Bathe once a month or when necessary and make sure the ears are checked regularly. They’re relatively easy maintenance in terms of grooming, whether they have a long or short coat. They do, however, require a weekly brush which they thoroughly enjoy as this gives them lots of attention and creates the perfect bonding time for both Chi and their owner. As the same with other dog breeds, the Chihuahua sheds more during spring and autumn time. As your Chihuahua ages they do need more regular baths but this shouldn’t be done too frequently as it stripes their coat of its natural oils and shine. You must use specific dog shampoo and conditioners as they contain the right PH level. Fortunate for Chihuahua owners, they do not inherit that “doggy” smell. Unfortunately, Chihuahuas suffer with eye and ear infections. Close attention must be paid to the cleaning of both their eyes and ears to help prevent infections. You should aim to look at their coat, ears and eyes on a weekly basis to check for any skin complaints and help prevent infections. Because of the way the Chis eye ducts are formed, they are prone to infections and must be cleaned gently on a daily basis. This can be done with a professional dog eye wipe or with a sterile bowl, lukewarm water and a baby cotton pad. Because of the size of the Chihuahua’s eyes and their small bodies, means that they’re much lower to the ground and therefore subjected to dirt and debris getting into their eyes which can cause irritation and can sometimes be painful. Often, their eyes water and this can then cause tear staining. As previously mentioned, you should gently cleanse your Chis eyes at least once a day. Chis have a tendency to quiver and shake then they’re cold, anxious or excited about something. It’s Important that you pay attention to them shaking and try to understand what could have triggered them to shake or quiver. If they’re cold, wrap them up warm in a blanket until they warm up. During colder months they should be wearing a coat to keep them warm and protected during the colder months. The Chihuahua is also known for its molera, a soft spot or a "hole" in the head. 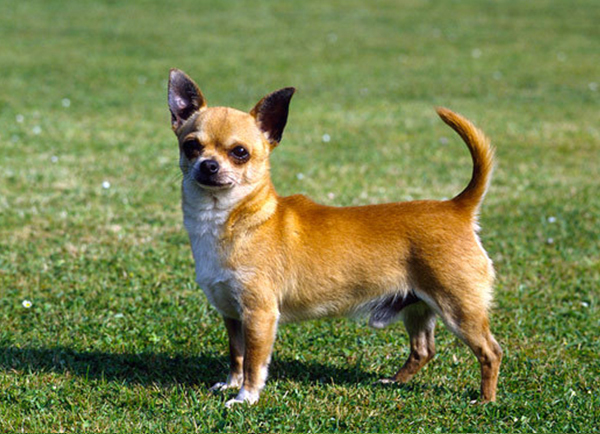 A symbol of pure breed Chihuahua. It is the only dog breed to be born with an undeveloped skull. The Chihuahua is also prone to eye infections because of its large eyes and low ground clearance. The Chihuahua has a delicate nutritional requirement and it would be best if its diet may contain avocado blended with poultry and brown rice, which resembles its native dietary intake. Do not feed the Chihuahua anything that may contain beef or beet pulp. Chihuahuas are prone to suffering with skin conditions which are caused by allergens in the environment. They can also suffer with food allergies and both show different symptoms. Unfortunately, allergies are hard to define and often we’re not completely certain on what the triggers are. To help combat a possible flair up, it’s worth researching what the triggers could be. You can also wipe your Chis paws after each walk with a damp wet cloth and give their coat a gentle rub to wipe off any possible allergens they have attracted whilst being outside. 10 -12 weeks of age. It’s worth noting that a puppy will not be fully protected straight away, but bearing in mind that a puppy would not have full protection straight away, but would then be fully protected 2 weeks after they’ve received their second vaccination. If you’re unsure on the continuation of boosters, you should speak to your vet for professional advice. Neutering your dog when they’re slightly older is recommended by the professionals and this is normally done around the age of 6-9 months and on some occasions at the age of 12 months. To seek further advice around this subject Mypetzilla suggests you seek professional advice from your veterinary practise. As previously mentioned, Chihuahuas are very small and their features and limbs are rather delicate meaning they require adequate care during their lifetime. As with any other dog breed they need to be fed a healthy diet and given the right amount of daily exercise to ensure they stay fit and healthy. Extra care must be taken when travelling with your little Chi. It is essential that they are safely strapped in with a dog seat belt and placed safely in the shade out of any direct sun. Stopping to provide your Chi with little rest breaks is also very important. You must also ensure they have access to cold drinking water. As the same with any other dog breed, you must not leave your Chi unattended in the car. Chis are prone to overheating very quickly. When buying or adopting a new puppy, their vaccinations must be up-to-date. The breeder is responsible for this and should provide you with the necessary paperwork before bringing them home. Until your pup is fully vaccinated they shouldn’t go outside or meet another dog. The Chihuahua puppy is very small and appropriate care should be taken to puppy proof your home. It’s important that you create a safe area for them to sleep and play. Storing away any sharp items, household items and cleaning products that could cause harm. Listed below are some helpful tips on how to ensure your home is safe to bring your little Chi home. Make your garden safe and hazard free. Fix any broken fences and gates to ensure your Chi can’t escape. As they’re so little they’re able to fit within the smallest of places. Rid of any harmful plants and flowers that can poison your puppy. Tidy away any electrical items away from your pup, as puppies love to chew whilst they’re teething. Create a safe area for your puppy to relax undisturbed from the household noise. Provide a playpen with lots of interactive toys to keep them entertained. Ensure they have a comfortable, well-sized bed so they can relax and sleep. Puppies do a lot of sleeping as they grow and therefore it is important that they have a good bed to do so. Brief family members to be careful and considerate of their new family member and to not be too boisterous and respect their alone time and need for relaxation and space. 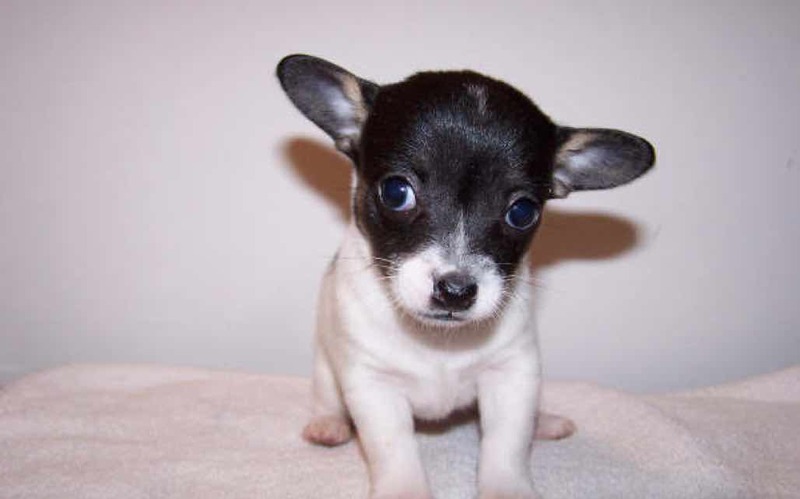 Chihuahua puppies can be extremely sensitive to loud noises, this also applies to adult Chis. As your Chihuahua grows up it is important that you make their dwellings safe and protected from too much hecticness and loud noises, which can startle your Chi. If they're not protected, they can grow up to become timid and jumpy little dogs. As your Chi ages so will their need for constant play and exercise. It is vitally important that they receive enough exercise and playtime as needed but you must be considerate and patient that they’re not always willing to run and play how they used to. Chihuahuas are intelligent enough to let you know when they’ve had enough and this must be respected. Their diet will need to be adapted and to ensure they’re fed correctly, you will need to consult expert advice from your vets. Majority of senior dogs unfortunately get arthritis and therefore may not be as mobile as they once used to. You can look to supplement their diet to help with this and only exercise them to the level their able to comfortably do. Again, it's worth seeking professional advice on this matter. Although some owners tend to carry their Chihuahuas, it is recommended that they’re taken for a walk regularly to keep physically and mentally fit. A body harness is recommended instead of using a collar. As the Chihuahua is such a small dog they do not need lots of exercise. However, they do require daily walks and training to ensure they grow up to be healthy and happy. Generally, thirty minutes of exercise on a daily basis will be enough for your Chi. As well as exercise, it's also important for them to be fed a healthy diet to complement their exercise and healthy lifestyle. Chihuahuas are very clever and also very inquisitive which can become an issue if they’re not supervised correctly. A Chi needs to be protected from harm's way as they’re so small. Your fencing needs to be very secure so they can’t escape and your house needs to be appropriately arranged for a small dog to live comfortably in. This dog breed really benefits from lots of mental stimulation. Providing them with daily playtime and interactive toys will help ensure they’re happy and healthy. The Chihuahua is not recommended with small children because it will not tolerate teasing. It is also not recommended to be with other larger animals because there is also the possibility that the dog might get hurt due to its very small size. It often prefers to be with other Chihuahuas over other breeds although it is a courageous breed and may fearlessly confront other larger animals. This dog breed is not recommended for owners with young families as children can play too rough for the Chi and this could potentially cause harm to the dog. Any interaction between Child and Chi should be supervised. Chis are generally good around other animals, if they’ve been trained correctly from a young age. Chihuahuas love to be around other Chihuahuas and will happily play and let them share their bed if they were to be so fortunate to share their home with the same dog breed. When looking to buy or adopt a new puppy Chi, there are several important points to understand and questions you should be asking the breeder. The Kennel Club provides a guide on how much the Chihuahua should weigh and what size they should be. Please note that this is a guide and some Chis weight more or less and their sizes can vary a little. Listed below are some specific points to consider before committing to buying or adopting a Chihuahua. As the Chihuahua is still a very popular dog breed, there are many illegal scammers advertising pets for sale and ask for money up front. You must never exchange cash or electronic deposits before visiting the Pup in question. Usually, these scammers can come on strong and push for money upfront, This is a red flag and you should report them immediately. Any responsible breeder will want the very best for the dogs and will never be demanding of cash up front before visiting the puppy. Potential owners need to be aware that the Kennel Club does not recognise the Teacup Chihuahua and this breeding process is frowned upon. The Teacup Chi comes with lots of health issues and this is caused by the breeding process which is cruel and wrong. If you suspect that a breeder is selling Teacup Chis they must be reported immediately to Mypetzilla and to the authorities. Another important point to make, is, the Merle Chihuahua is also not recognised by the Kennel Club. This type of Chi comes with lots of health issues and Mypetzilla strongly advises against this type of breed of dog. Chihuahua Facts - Did you know?